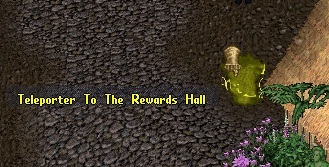 The Legends Rewards Hall can be found in south western Malas. If you follow the path south from Luna over a long bridge then turn slightly west and navigate across a few more smaller bridges you can find the hall, which is represented with a red dot in the illustration to the left. The easiest way to get to the hall is through a teleporter located in Tram Britain. The teleporter sits next to the Event Moderator Hall in north Britain. 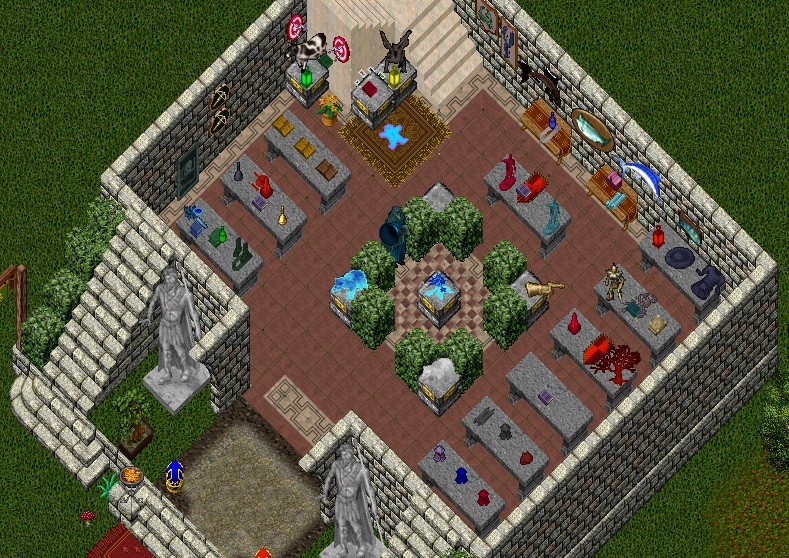 The Rewards Hall is a museum of sorts that holds many items that are unique to Legends. It was designed by the well respected Legends resident Lady Devils Own. The hall’s design meets its function well as one can tour three floors packed with items. As the rewards hall continues to grow all are encouraged to visit and enjoy the history Legends has to share.